MoU between Benha University Egypt and Wuhan University China. 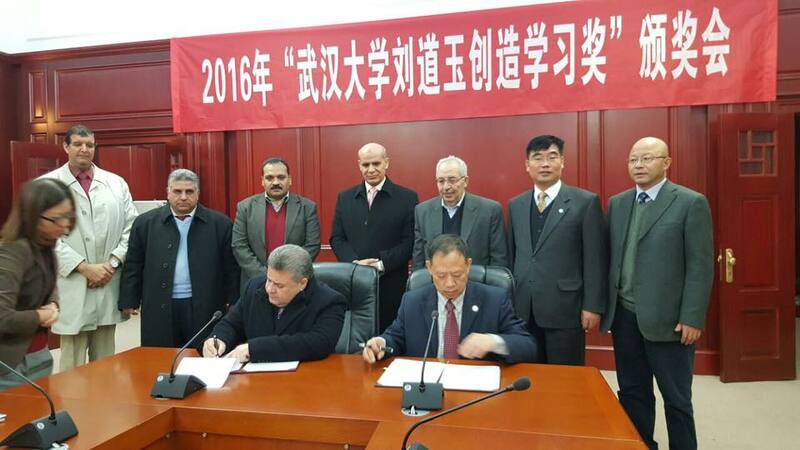 December 15, 2016 - Prof. Elsayed Elkady- president of BU has signed an MoU with Wuhan University during his visit with the attendance of BU delegation. Prof. Elkady stated that the MoU will give (3-5) grants for postgraduates - master and doctorate- in fields of "remote sensing, information technology and robots ", in addition to exchanging students and staff members. Also he referred that the scientific fields has been determined according to the mutual discussion of both professional universities.